Case Acquaint is a podcast which features open and unresolved cases related to violent crime and missing persons. The purpose of this podcast is to assist victims and their advocates in distribution of important information in an effort to encourage public engagement. Here, we tell the victim’s story, the events that precipitated the unresolved case, and the current known facts. We are determined to, whenever possible, preserve the dignity and legacy of the victim, and most importantly, call for justice. Please join us in supporting truth and justice by sharing these stories as they are released. Our update for this week: Meta Valentine’s accused killer has been charged! Thank you Fayetteville PD and Cumberland Count DA’s Office! Listen to the update at the beginning of this episode. Wendy Madden was 23 years old when she was murdered and left behind a now-demolished little neighborhood bar. Can you help cold case investigators bring her killer to justice? Why would anyone want to hurt this beautiful young woman? Join us as we head North on I-95, up to Pawtucket, Rhode Island. We’re going to pull off on Exit 30. On March 11th, 1991, Wendy set out to walk to the store on a cold Monday night. She said she was going to get cigarettes from a place called Store 24, which is now called ABC Liquors. She was last seen near the intersection of Rail Road Street and Cross Street. Wendy’s body was found on March 13th behind Jan’s Place, a bar which has now been torn down and is just a grassy lot, dedicated to storing somebody’s covered RV. Not a nice place to spend your final moments. Wendy didn’t deserve this. Wendy has not had justice for 27 years. She would be old enough to have grandkids right now. She has missed out on so many of life’s joys. Detective Cormier has come so far in her search, from digging out old undeveloped negatives to getting samples tested for DNA. Let’s do what we can to help her finish the job. Check out our websitecaseacquaint.com for more pictures and info about this case. Police feel they are close to being able to charge the person responsible for this heinous act. Do you know what happened to Wendy Madden? If so, let the Pawtucket Police Department know by calling, emailing, or visiting the facebook page the detective in charge has created for anonymous tips! Please share this episode on your social media to bring justice for Wendy! Call 911 if you see him. September 8th, 2015 was a normal day in Orem, Utah except for one thing. That was last anyone ever saw or heard from Emily Quijano or her young son, Gabriel Almiron. Emily’s boyfriend, Christopher Poulson told police and anyone else who would listen that he had to kick Emily out because he couldn’t tolerate her use of drugs in their shared apartment. That might have been the end of this missing persons story if it had only been Emily who was missing, but cops had a three year old child to find. That all but assured a criminal investigation and the involvement of the FBI. This case has not yet been completed. Let us know what you think! Have authorities found their killer? Where are the bodies of Emily and Gabriel? Thank you for listening to this episode of Case Acquaint. Visit our website, caseacquaint.com for more information about this case and all of the other cases we are following. We may be found on most major platforms and youtube. Follow us on twitter, IG, or Facebook. Consider supporting Case Acquaint through Patreon for as little as $1 per month at patreon.com/caseacquaint. Thank you for your patience as we work through our technical issues with our host service. We are hoping the issue is fixed! Find caseacquaint on your favorite podcast platform or youtube. Share this episode with your friends, especially those who have the gift of insight. This is the story of the abduction and murder of little Maria Ridulph from her neighborhood street in Sycamore, Illinois. Many people have been suspected, one person was convicted, declared innocent, and is currently in the process of collecting money from anyone associated with the conviction. Throughout it all, Maria’s family bore the constant turmoil of forces beyond their control. It’s been over 60 years since Maria was taken and killed. Will anyone ever be brought to justice? How would YOU cope if you were the victim of sexual abuse as a child or if your family member was taken killed and thrown away like garbage? What would you need to do in order to go on? Find out how these folks have found their own ways to survive and live, despite the horrendous tragedies they endured. Who do you think killed Maria? Hit us on FB, IG, Twitter, YT, or our website. caseacquaint.com. Also go there for working links to information and resources associated with the subjects in this episode. Support the podcast by listening via Radio Public! 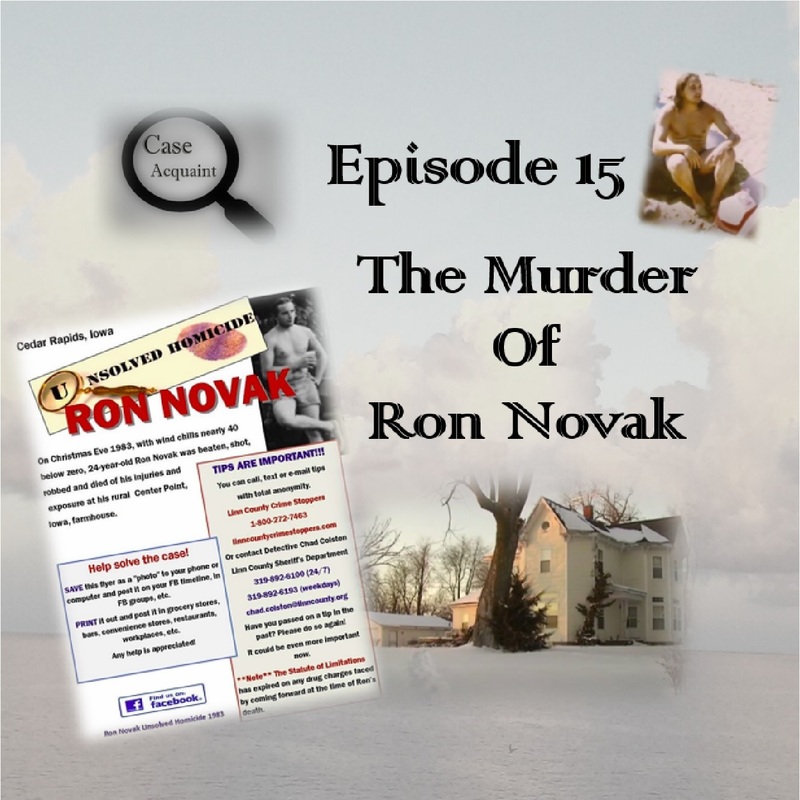 Who is responsible for the brutal murder of Ron? What lengths will local law enforcement go to, in order to avoid closing this case, and why? Do you have any information on Ron’s case? Listen and share this episode on your favorite social media site or visit the advocacy page to find out more about how you can help solve this mystery. Follow us on your social media! Listen on Radio Public if you would like to support the podcast! When will Rachel’s family see justice? Can you help? Listen and share this episode on your favorite social media site or visit their page to find our more about how you can help solve this mystery. Subscribe to our podcast on your favorite platform or even youtube. This episode contains more information on a case we mentioned in one of our I-95 episodes. Subscribe to our podcast on your favorite platform or youtube. This episode contains brief updates on Natalie White and Kimberlee Graves before we move on to the main subject, Dylan Redwine and the efforts made to find him. Dylan Redwine and his father, Mark Redwine, had a strained relationship. What could possibly drive a man to allegedly murder his own son? Is any length too extreme when searching for a missing child? What about a missing adult? We will be posting a BONUS episode soon with more from Kelly with Find Me Group. In it, he describes new artificial intelligence technology currently in development which will add even more resources for law enforcement and families of the missing and murdered, and he also provides from advice from the perspective of not only a former federal law enforcement agent, but also from that of someone who has spent the last almost two decades concentrating on finding the missing and supporting the desired end result: justice. Visit caseacquaint.com for more information and links to sites mentioned in this episode! We are working on uploading all episodes to youtube for your convenience, and we are now on most major podcast platforms. Look for us on your favorite! This episode contains brief updates on upcoming shows, the Randy Leach case, and Chase Lackey before we move on to the main subject, Maria Ann Hsiao. Who killed Maria? Someone knows something. Can you help police solve this troubling mystery? Let us know what you think! Special thanks to the Palo Alto Police Department. Or support the show by listening on Radio Public! Click the play button below or download the app! Today we present the story of the Leach couple, and their struggle to find out what happened to their only child, Randy. The thirtieth anniversary of Randy’s disappearance is drawing closer, but there appears to be no end to the pain the Leaches endure. Randy Leach has not been seen since the early morning of April 16th, 1988 from a small Kansas town of about 300 people. Do you know what happened to Randy? 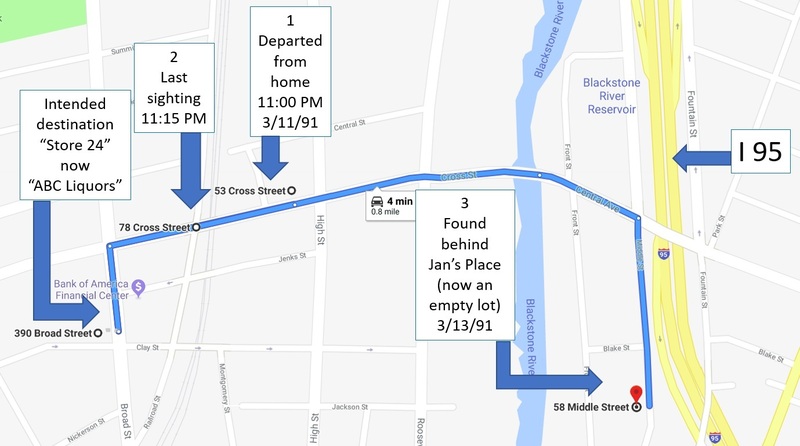 Listen to the events that led up to his disappearance and then head on over to our website to explore theories and find more information on Randy’s case or go directly to the family-approved facebook page linked below. Listen on itunes, stitcher, youtube, podbean, and more. Discuss or get more info when it comes available about this and all of our cases. UPDATE: THE LEACHES HAVE A GOFUNDME CAMPAIGN WHICH IS CURRENTLY LIVE. THIS GOFUNDME IS TO HELP THEM CONTINUE THEIR EFFORTS TO FIND OUT WHAT HAPPENED TO RANDY. PLEASE DONATE IF YOU CAN, BUT IF YOU CAN’T, IT WOULD BE WONDERFUL IF YOU COULD SHARE IT. TAG US AND WE WILL ALSO SHARE YOUR POST! Robin Abrams disappeared just days before the first court date in a lawsuit that was about to rock an entire community. What happened to Robin Abrams and why won’t the former law enforcement officers who are suspected of her disappearance and murder cooperate with investigators? After almost three months, Natalie has been discovered alive and is now with family, so we have removed this episode out of respect for her privacy. Many thanks to all who shared! According to Natalie’s family, the money raised from the gofundme was claimed by an anonymous person as a reward for informing the family of Natalie’s possible whereabouts! This is a happy ending and a successful use of crowdfunding and community organizing! The facebook page, fliers, gofundme, appeals to the public via local media, and constant advocacy on the part of Natalie’s loved ones made the difference. Welcome to the fourth episode of our series on the I-95 corridor in North Carolina. Someone spent years preying on the vulnerable women of East Rocky Mount, NC. After several women were found murdered, and one still missing, authorities finally prosecuted a suspect for one of the murders, that of Tara Nicholson. The rest of the cases are still open and up to $20,000 in reward money continues to be offered for information leading to the ultimate conviction of the killer of the women of Edgecombe County, many of which were dumped off Seven Bridges Road. Also, there are more missing people throughout the region, and we profile a few of those missing people. Have you seen Joyce Renee Durham? She has been missing since 2007 from East Rocky Mount. If you have any information regarding her disappearance, please contact the Twin Counties Crimestoppers at 252-977-1111. Have you seen Jalesa Chantell Reynolds? She was last seen 2/22/10 in Scotland Neck, NC. Have you seen Shonda Stansbury? She was last seen 12/7/06 in Halifax County NC. Have you seen Amy Wells Bridgemen? She has been missing since 6/24/13 from Weldon, NC. This is the third episode in a series about mysterious disappearances, murder, and other crimes along the 1-95 corridor communities of North Carolina. two serial rapists in the county who have yet not been caught. WE ARE NOW ON STITCHER AND ITUNES! ADD US TO YOUR FAVORITE SHOWS SO YOU DON’T MISS AN EPISODE! Discuss or get more info about these cases. This is the second episode in a series about mysterious disappearances, murder, and other crimes, along the 1-95 corridor communities of North Carolina. If you have not listened to Episode 1, please go back and listen to that one first. This episode is packed with information on a string of unsolved deaths, disappearances, and also info about newer cases we will be following for you, providing updates in future episodes. WE ARE NOW ON STITCHER and ITUNES! ADD US TO YOUR FAVORITE SHOWS SO YOU DON’T MISS AN EPISODE! (4/19/18)It’s been one year since the bodies of Rhonda Jones and Kristin Bennett were found in East Lumberton. We have updated our original audio to reflect some small changes and to make a fresh appeal for more public engagement and concern about the deaths of these women. Please share the link, you can find it on IG or FB too. Listen on podbean or youtube. Thank you. This is the first episode in a series about mysterious disappearances, murder, and other crimes, along the 1-95 corridor communities of North Carolina. The cases reviewed today only barely skim the surface, and are not even a year old. Today, we talk about Rhonda Jones, Kristin Bennett, Meagan Oxendine, Cynthia Jacobs, Eric Montreal Evans, and Abby Patterson. For those of you following these cases, finally we have a picture of Christina Bennett! Looks like the reward has increased! Anyone willing to talk? Call the FBI please, not the Lumberton Police Department. Many thanks to John Allore of theresaallore.com who graciously provided permission to use quotes from one of his excellent episodes. Subscribe to John’s podcast via any major platform, you can find all that info on his website. Update on Kimberlee Graves may be found on Episode 12. We extend our sincere sympathy to Kimberlee’s loved ones. Please also write checks in the name of the memorial fund so that they may be deposited. or support the show by listening on Radio Public! Please help the Fort Collins, CO police department find Kimberlee Graves. If you have any information to provide, call 970-416-2825. Fort Collins PD press release here. 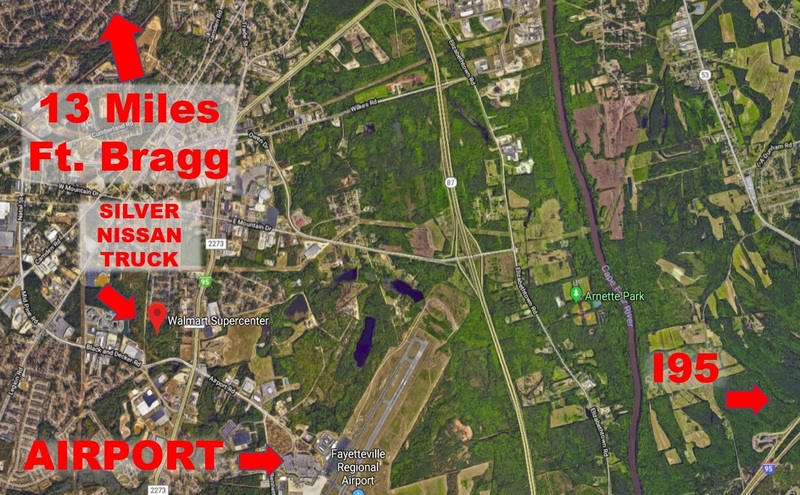 Map of where Kimberlee’s car was found here. Here is our first recording, explaining what we do. Thank you for visiting this page. We are working on creating a few stories for release in podcast format, and once they are finished we will be posting links. If you would like to suggest a case for CaseAcqaint to review and consider for exposure, please contact us via our facebook, twitter, or email accounts. We are actively researching, writing, recording, and editing material daily, and eager to find open cases that have not been resolved, and are either cold or close to cold. Let’s get the focus back on the cases that are being forgotten! Our format is such that we would encourage family members of victims to come forward to be interviewed or at least answer questions and we are always willing to speak with law enforcement if they have brief statements to provide as they deem necessary.